It will be the 6th time for the Czech Republic in the Eurovision Song Contest. 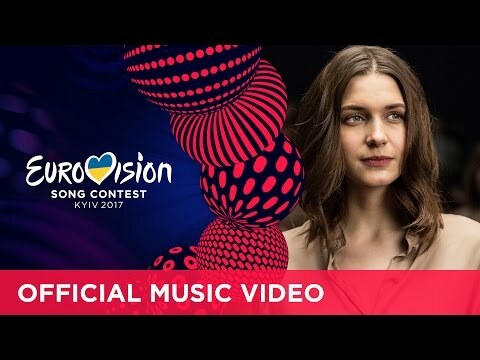 After last year’s great success with “I Stand” by Gabriela Gunciková the Czech broadcaster CT has made an internal selection again to determine the entry for Kiev. Martina Bárta was born in Prague and has studied the French horn as well as singing. Since her studies at the Academy of Arts in Berlin she has mainly concentrated on jazz. Martina regularly appears on jazz festivals and in music projects in the Czech Republic and Germany. Furthermore she is part of two projects “4 to the bar” and “Sinatrology”. According to an interview Martina emphasised that she can identify very well with the motto of this year’s ESC “Celebrate Diversity”, as she can bring her very own and innovative jazz like style on the big ESC stage. The song “My Turn” is a classic piano ballad written by a British composer team DWV / Kyler Niko. It has been produced in London and the video clip has been filmed in Prague in a very interesting way it’s showing different people young and old, small and tall in a very intimate and touching way. Judged by the impact of the video clip there is another great ballad coming from the Czech Republic again. Martina’s good voice corresponds to the sophisticated composition. This entry is even stronger than last year’s Czech entry has a great and memorable chorus which is very radio friendly as well. This is another high quality entry from the Czech Republic which should not be underestimated. The stats for the Czech Republic do not look very good, but there is a very positive development since 2016, where a place in the Grand Final could be achieved for the first time. Even if the Czech Republic reached the Grand Final with “I Stand” by Gabriela Gunciková, the 24th place was the second last, but at least a good quality entry could have been presented to an audience of 200 million possible viewers. The Czech Republic has been transmitting the Eurovision Song Contest for many years until they have decided to join the contest in 2007, while the neighbour country Slovakia is already taking part since 1994. The Czech debut entry “Malá Dáma” by the rock singer Kabát has only received one point in the Semi Final and came last. Many TV spectators would have not even noticed that the Czech Republic has been taking part in those years, as they have never passed the qualification rounds, and only appeared in the Semi Finals. The best position could be achieved last year in Stockholm. This was a very good progress and showed contemporary Czech music which was highly appreciated internationally. Great to see that the Czech Republic is showing a high interest despite of so many unsuccessful attempts. Like last year a qualification looks quite prosperous, a great singer with a great song. So the Grand Final is reachable another time this year.